it has four passenger seats in the aft cabin, a toilet, and seating for two pilots in the cockpit. 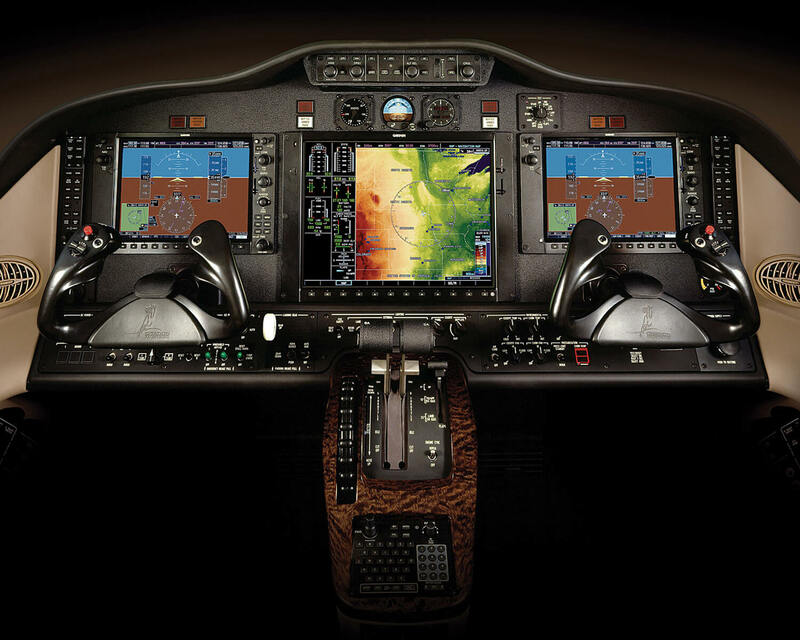 The Mustang is approved for “single pilot” operations to appeal to owner pilots and comes equipped with an all glass panel G1000 avionics suite. CE-500 Type Rating – The first flight of the Citation series took place in September of 1969. FAA certification was received in September 1971, two years after the first flight of the FanJet 500. PJT’s signature course “ the 5 Day Initial” includes Citation Mustang training. Your first three days consist of classroom ground school including aircraft systems, weight & balance and performance. Daily systems intergration is conducted with our desktop simulators and actual aircraft, where you experience a real “hands-on” preflight walkaround. Flight training is conducted in our Citation Mustang company managed aircraft or your own and our new citation simulators. Each flight and or simulator session has a one hour pre briefing followed by a two hour lesson and a thirty minute de briefing. Each simulator session allows students/instructors to record and playback each session through the Insight program. Cygus is also available allowing iPAD use with Foreflight during your sessions. Our flight training curriculum is built on the ‘train to proficiency” model. Upon completion you will meet ATP standards and have logged actual flight time in the aircraft. We also have CE-650 type rating course which leads to the Pilot in Command type rating. This type rating will be added to a FAA Private, Commercial, or Airline Transport Pilot license.